NASHVILLE, TN -- (Marketwired) -- 08/25/15 -- After successfully expanding into Bahrain and Trinidad & Tobago, Chem-Dry has now achieved a presence in 50 countries across the globe. 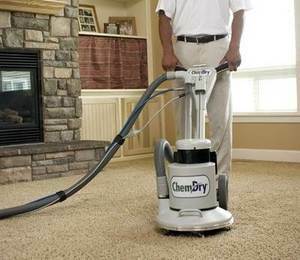 Chem-Dry is the world's largest carpet cleaning franchise, with 3,500 locations that serve more than 10,000 homes and businesses every day. 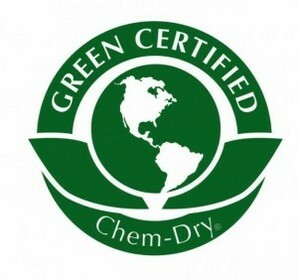 With a proven business model and an eco-friendly process that is proven to remove 98% of common indoor allergens from carpets and upholstery, according to a study conducted by an independent air quality laboratory, Chem-Dry is finding success in expanding into new countries with wide-ranging cultural landscapes. "We're very fortunate that we've been able to expand into Bahrain, along with Trinidad & Tobago," says Joe Manuszak, Director of International Development with Chem-Dry. "We now have Chem-Dry franchises in MENA (Middle East North Africa), Sub-Saharan Africa, Europe, and the entire Pacific Rim. Our focus for 2015 and 2016 is set on opportunities in Central and South America." Manuszak says that Chem-Dry's ability to enter new international markets with consistent success is the direct result of the brand's strong training and support, its commitment to providing exceptional customer service, the superiority and healthfulness of Chem-Dry's products and cleaning methods, and the high demand for floor cleaning services in international markets. "I think the reason our business model translates so nicely worldwide is we continue to impress our customers," Manuszak said. "Our Hot Carbonating Extraction process is a strong selling point for our franchisees in every market. It's a process that is not only better for the environment, but is proven to be effective in removing 98% of common indoor allergens, which is a huge concern for people in every country. Our cleaning process is also remarkably fast: by using 80% less water than traditional steam cleaning, we not only offer a more eco-friendly option, but we can also go into a business or a residence and have the carpets, tile, stone, and upholstery clean and dry in a matter of just a few hours." The recent independent study tested the effectiveness of Chem-Dry's Hot Carbonating Extraction cleaning process in a cross-section of consumer homes in the U.S. and internationally. The specific common household allergens tested were cat and dog dander and dust mite allergen. 2014 was a banner year for the world's largest carpet cleaning franchise; Entrepreneur magazine named the brand the Top Carpet Cleaning Franchise for the 27th year in a row. Chem-Dry finished 2014 by adding more than 100 franchises in the United States and Canada, and by expanding its global network to 45 countries. Now, more than halfway through 2015, Chem-Dry has already increased its global footprint to 50 countries and is on pace for another year of robust franchise sales growth in the U.S. and Canada. "No matter where our franchisees are in the world, we actively support them in their business," Manuszak said. "We provide technology, marketing support, apps for digital platforms, and ongoing training with Chem-Dry's superior, healthier products and processes. We're very fortunate and proud to have such committed, high-caliber franchisees. They have fully embraced the Chem-Dry methods and are impressing customers and creating healthier homes and workplaces all over the world."